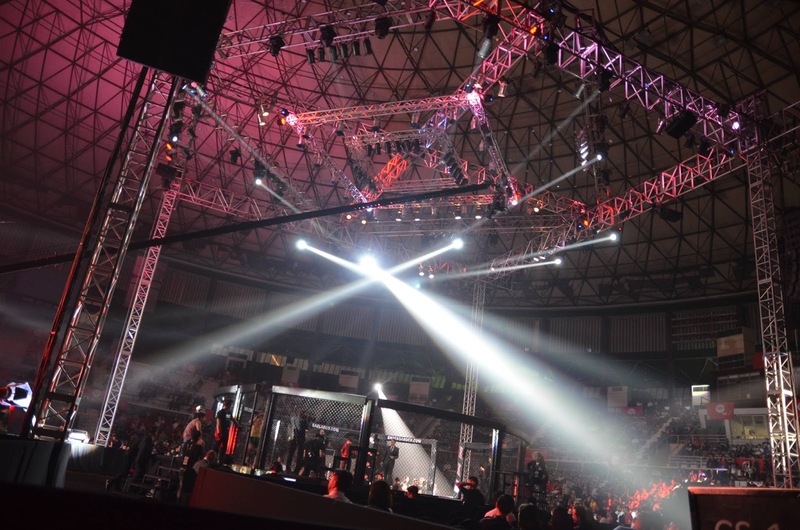 ONE Championship™ (ONE), electrified the Stadium Negara once more with another spectacular showcase of world-class mixed martial arts action on 2 September 2016. 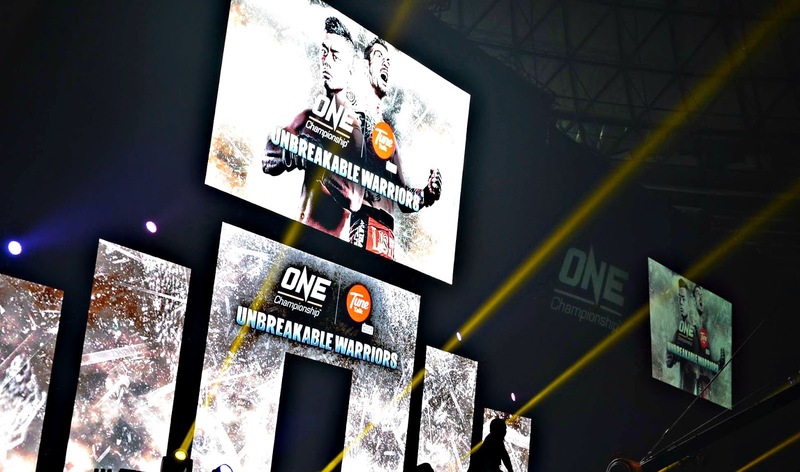 ONE: UNBREAKABLE WARRIORS featured eight Malaysian MMA superstars defending their home turf in front of a packed crowd cheering them on. 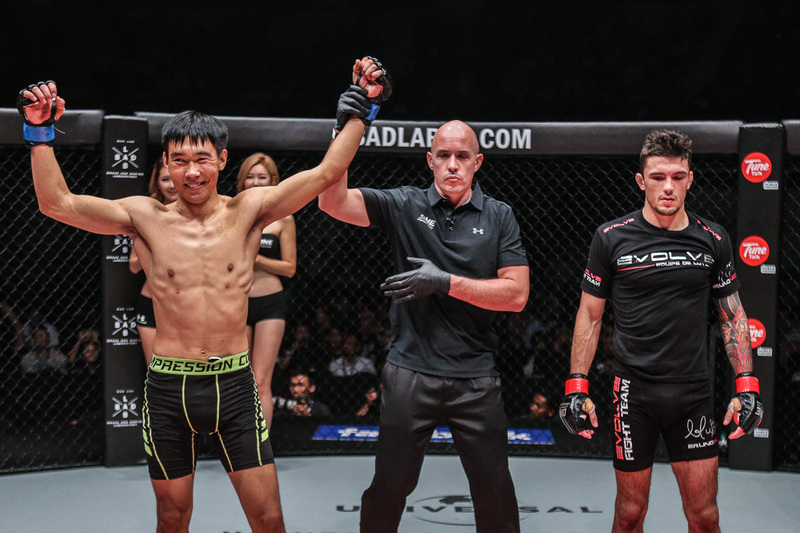 During the main event, Malaysian-Kiwi sensation Ev “E.T.” Ting emerged victorious over Australian stalwart “Ruthless” Rob Lisita to win by unanimous decision in an exhausting lightweight contest. The crowd roar the environment when Ev Ting perform guillotine choke on Rob Lisita. But Rob Lisita fast reaction able to loose himself from locked by Ev Ting. In the end, Ting simply had more in the tank, earning the unanimous decision by outlasting Lisita who was thoroughly defeated but remained unbowed. After the bout, Ting took the chance to thank the fans in attendance and called for a title shot. 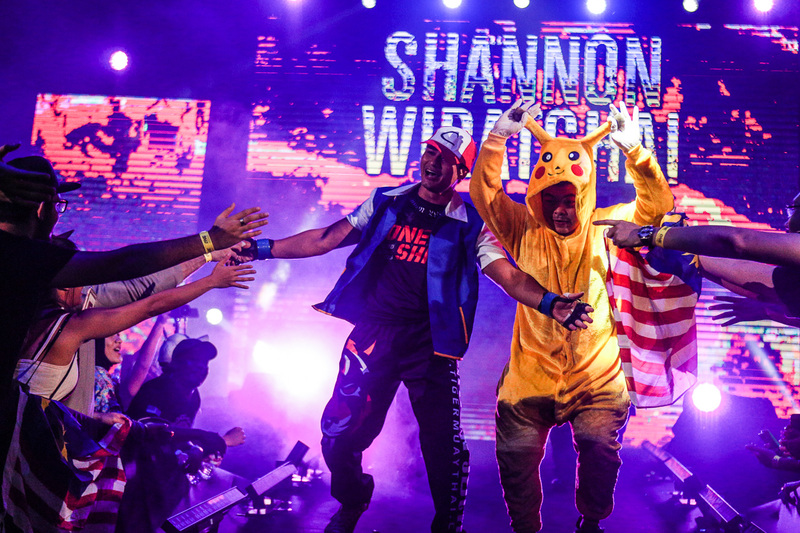 Shannon “One Shin” Wiratchai entertained his crowd with Pokemon Go appearance along his way to the fight ring. 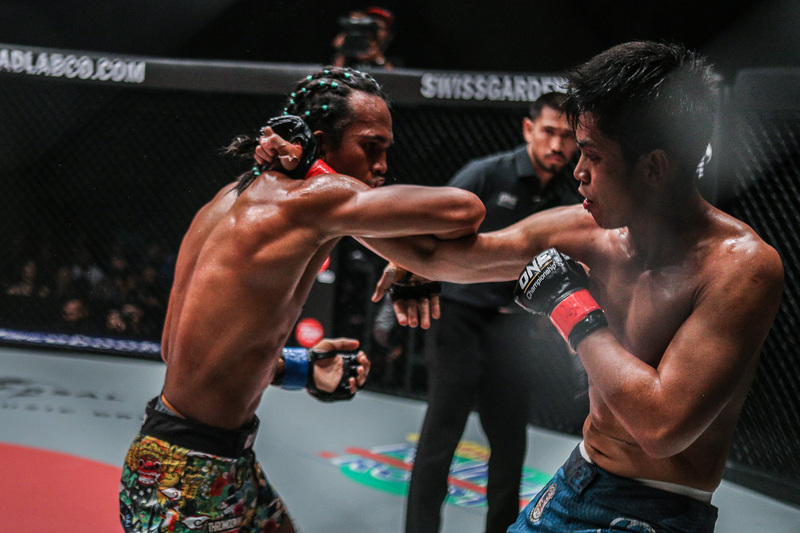 Top lightweight contender Shannon “One Shin” Wiratchai of Bangkok, Thailand went shot for shot with Malaysia’s Peter Davis in a highly entertaining clash of elite strikers. 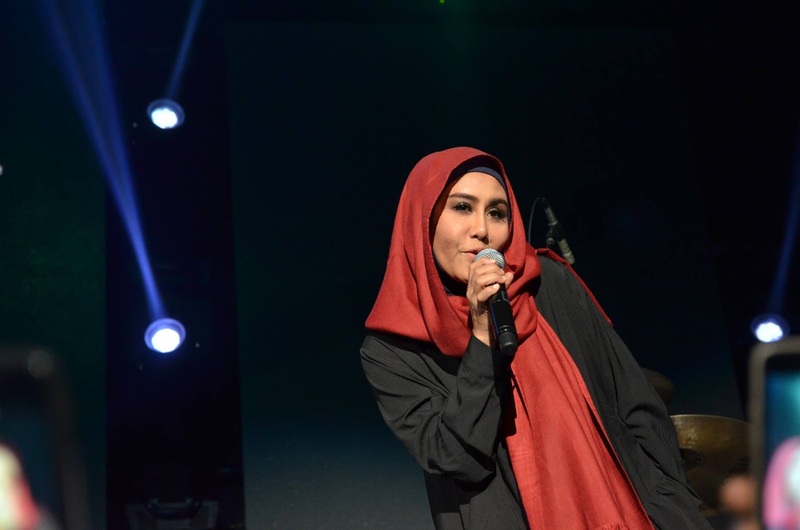 The two fighters gave everything they had and blasted each other every minute of the bout for the duration that it lasted, much to the delight of the packed Stadium Negara crowd. Past the midway point in round two however, a Wiratchai uppercut dropped Davis and an ensuing volley of punches effectively ended the bout. 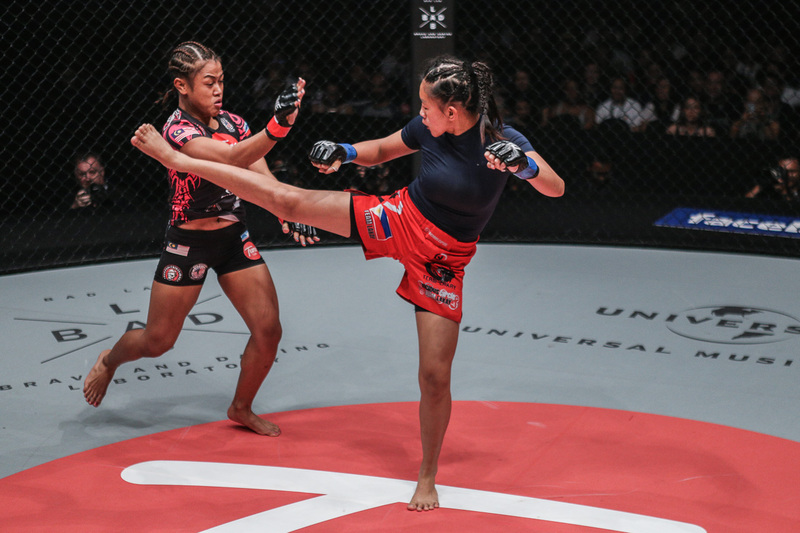 The women MMA impress me the most as 22-year old April Osenio of Baguio City, Philippines delivered her best performance by submitting top Malaysian female fighter Ann “Athena” Osman in the first round of a scheduled three round women’s strawweight bout. Osenio and Osman wasted no time striking and immediately went into the clinch as soon as the bell sounded. The two scrambled continuously on the mat, trading positions on numerous occasions until Osenio caught Osman in a Guillotine Choke to force the tap. 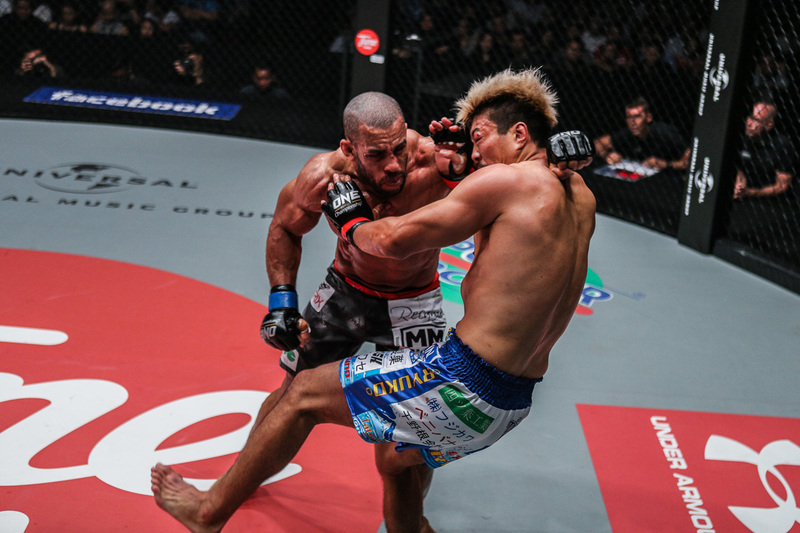 In a clash of veteran middleweights, Gilberto Galvao of Brazil made a successful ONE Championship debut with a unanimous decision victory over crafty Japanese MMA fighter Tatsuya Mizuno after three grueling rounds. 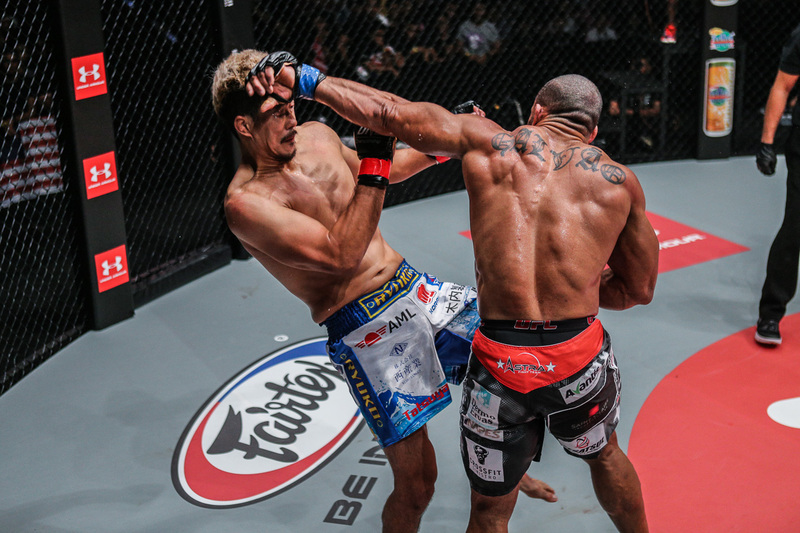 Galvao owned a slight edge in damage inflicted and striking superiority, often landing powerful combinations that Mizuno took very well. Mizuno on the other hand scored repeatedly with highly accurate knees to the body. 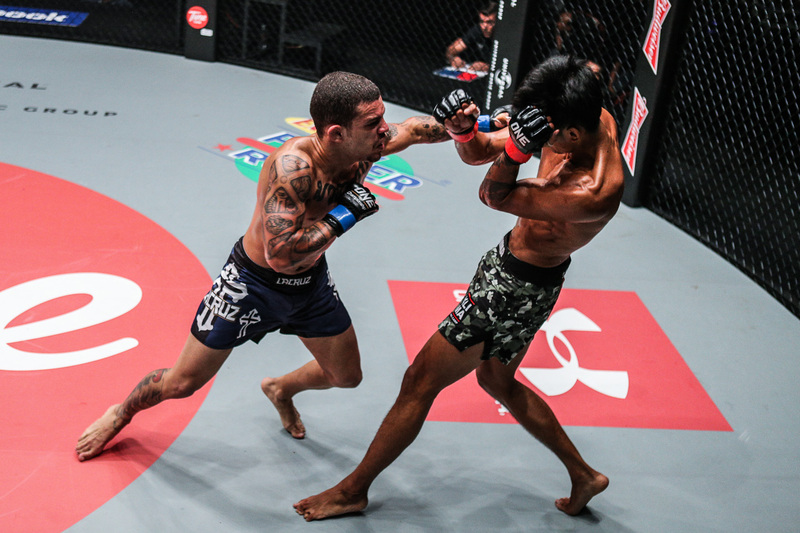 Towards the end of the bout, Galvao was able to land a couple of take downs which the judges deemed enough to award him the victory. 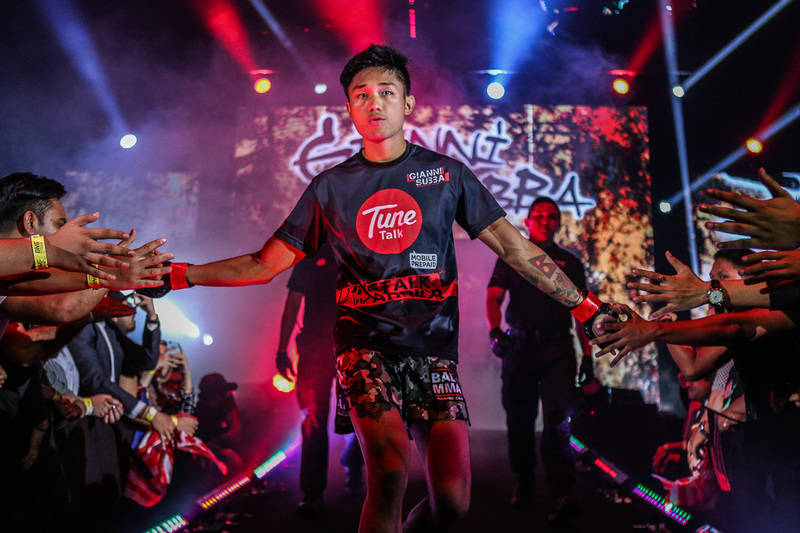 Malaysian flyweight sensation Gianni Subba by way of Bali MMA in Bali, Indonesia overcame a spirited performance from enigmatic counter puncher Yago Bryan of Rio de Janeiro, Brazil. The 23 year-old Subba employed a tactical game plan, working with his long reach to keep Bryan at the end of his kicks all fight long. 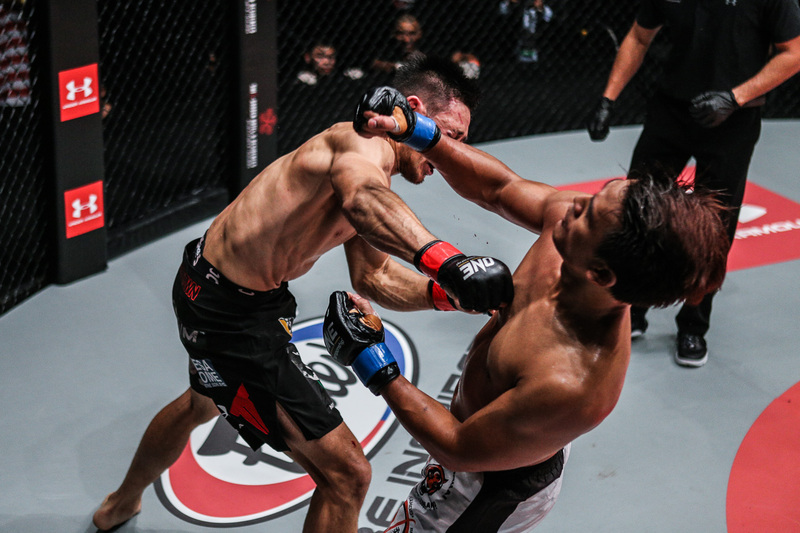 The biggest weapon for Bryan was the straight right hand which he threw behind a counter left jab but Subba came well-prepared for the fight and knew he had to stay away from Bryan’s deceptive power. All three judges scored the bout in favor of Subba who took home the unanimous decision victory after three rounds. 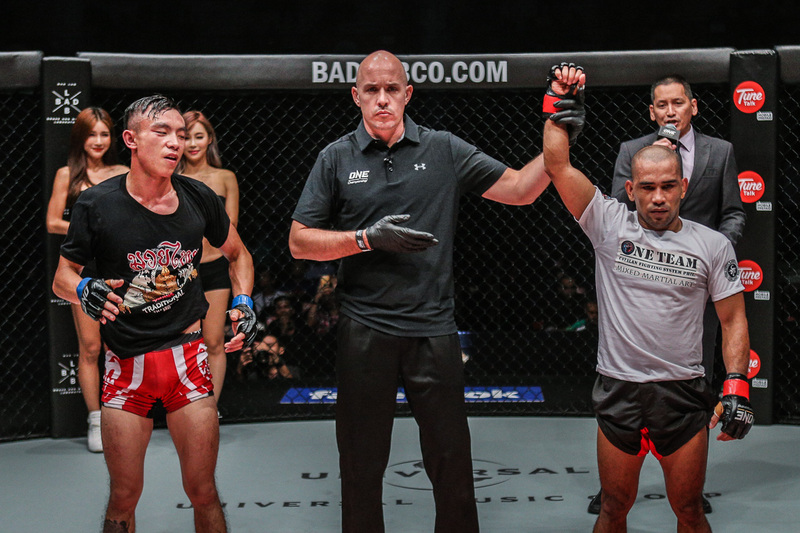 Agilan “Alligator” Thani shocked the crowd as he win streak to six and kept his unblemished record intact with a methodical victory over the Philippines’ Trestle Tan. 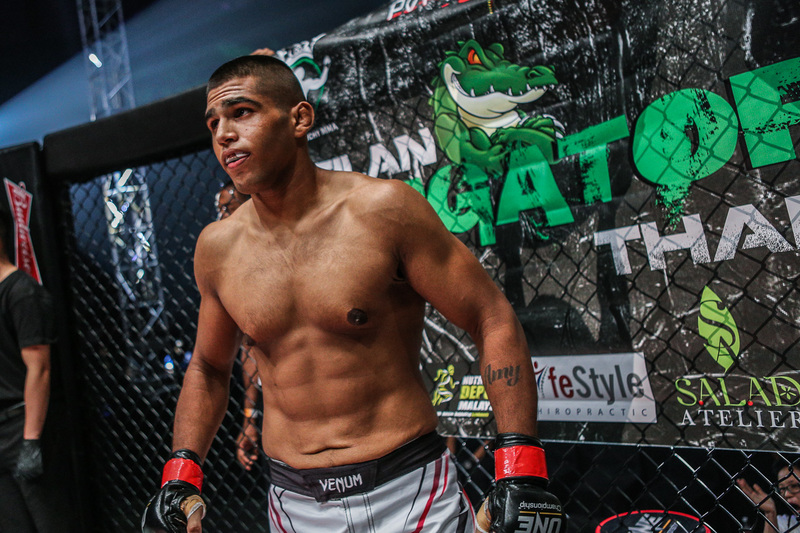 Agilan makes remarkable victory toward his MMA career. 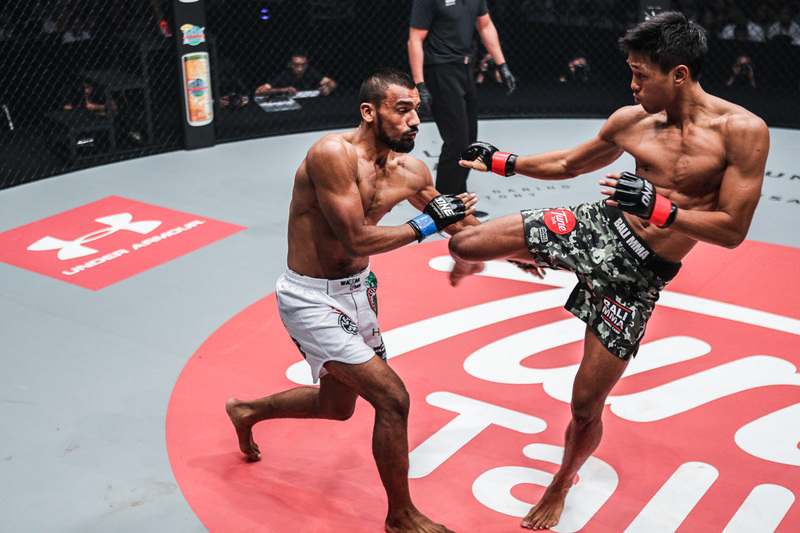 Thani dominated the fight from start to end, successfully taking Tan to the ground where he worked to finish with brilliant transitions. 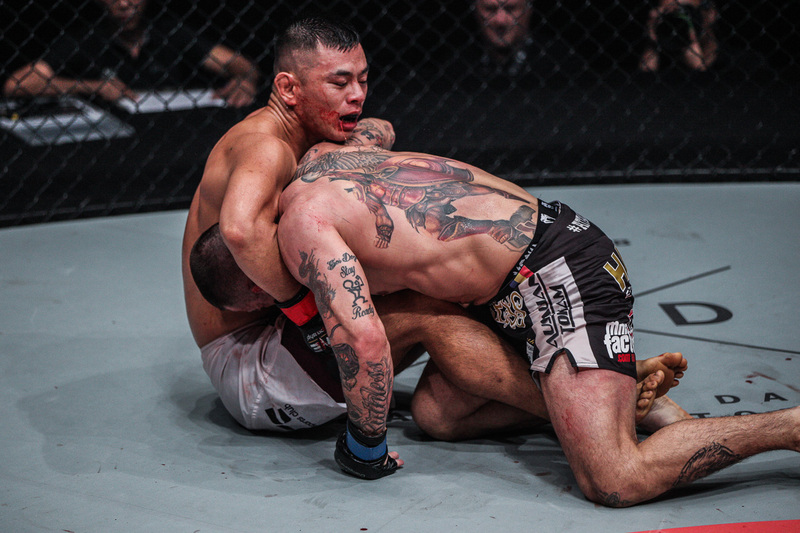 After taking Tan’s back, Thani slid his arm underneath the Filipino’s neck and squeezed until his opponent tapped out. 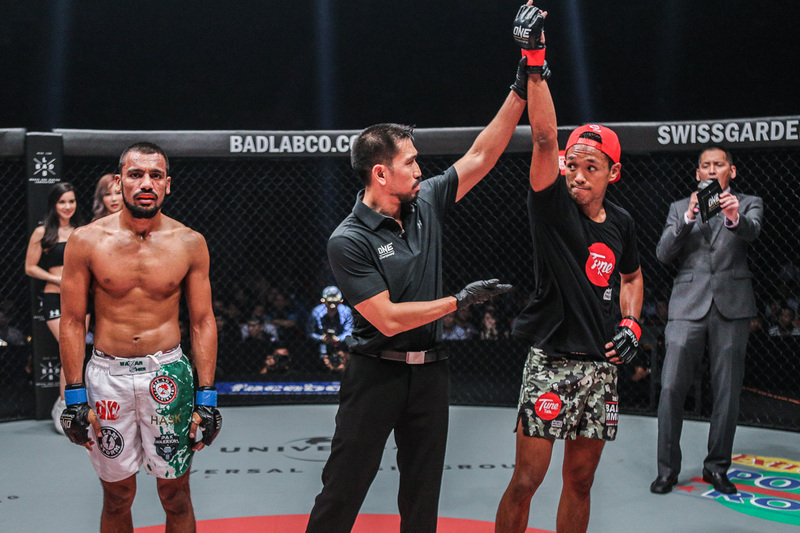 Malaysia’s Keanu Subba via Bali, Indonesia returned to his winning ways with a spectacular victory over Pakistan’s Waqar Umar. The 22-year old showcased his well-known striking prowess, bringing the fight to Umar who looked to take matters to the ground. 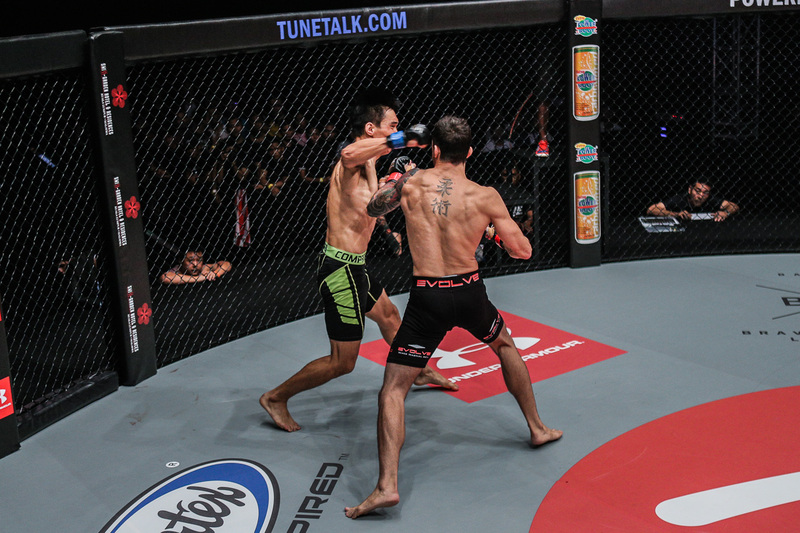 After Umar caught a missed kick by Subba, he used the momentum to get the Malaysian prospect on the mat. 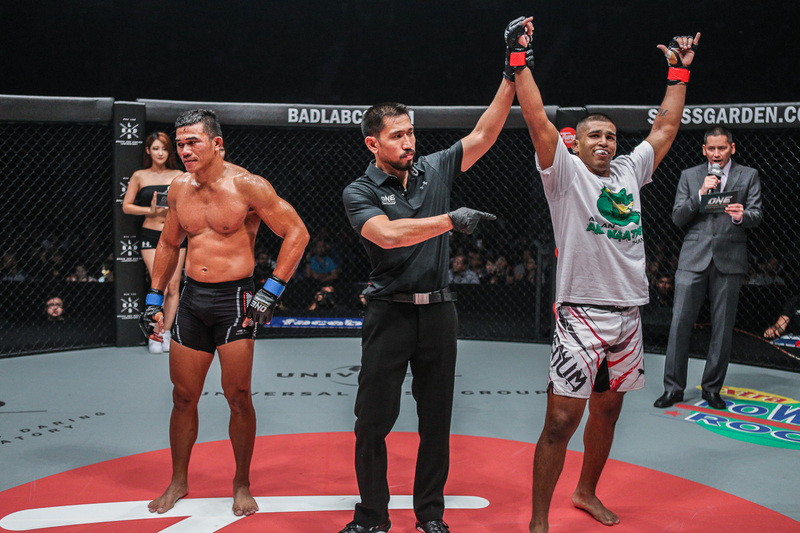 Subba however executed a sweep shortly after and delivered his trademark elbows and fists from top control to force the Pakistani fighter to tap out. 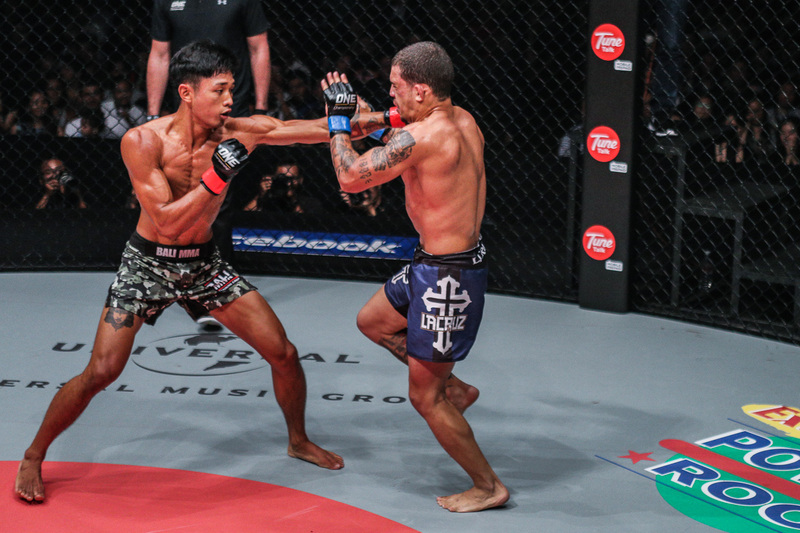 Chinese featherweight warrior Nuerdebieke Bahetihan shocked the crowd in attendance at Stadium Negara with a scintillating eight second one-punch knockout of Evolve MMA’s Bruno Pucci. Pucci came out of the gates looking to throw a combination but a single right hook counter felled the proud Brazilian. 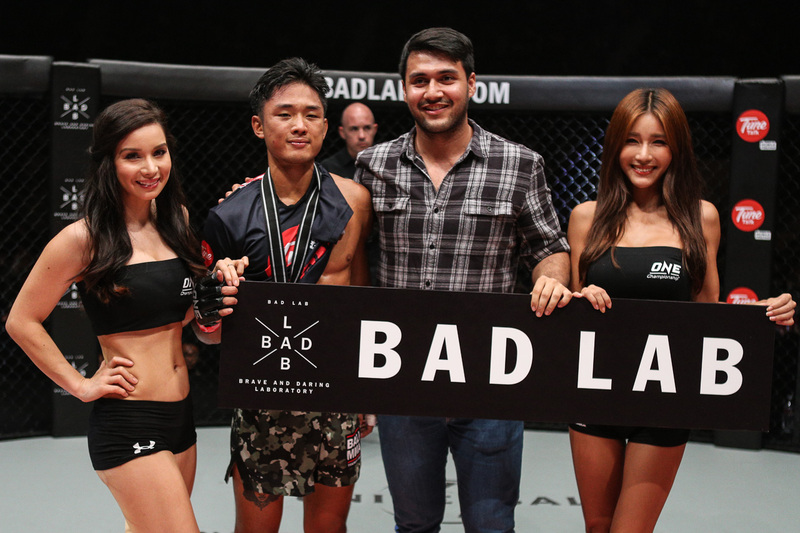 The victory earns Bahetihan his third straight win as a professional mixed martial artist. 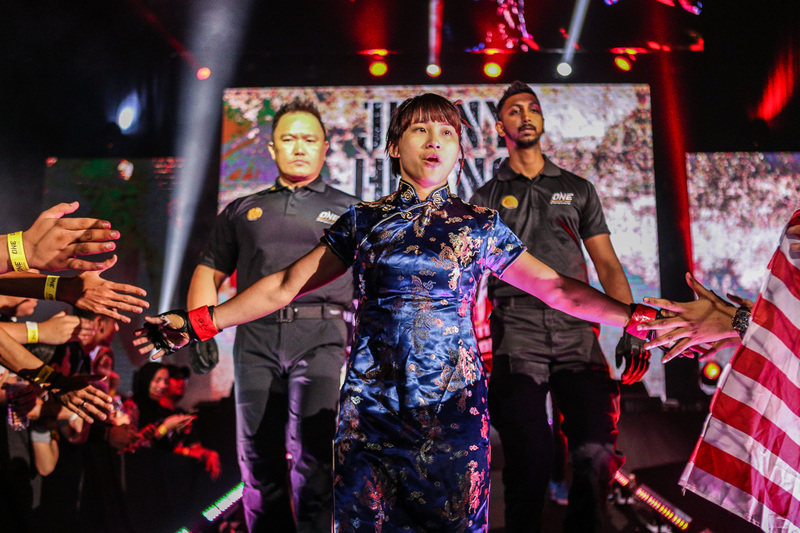 Female atomweight competitor Jenny Huang of Chinese Taipei clinched her third straight victory inside the ONE Championship cage and fourth straight victory overall with a first round submission of Delhi, India’s Jeet Toshi. 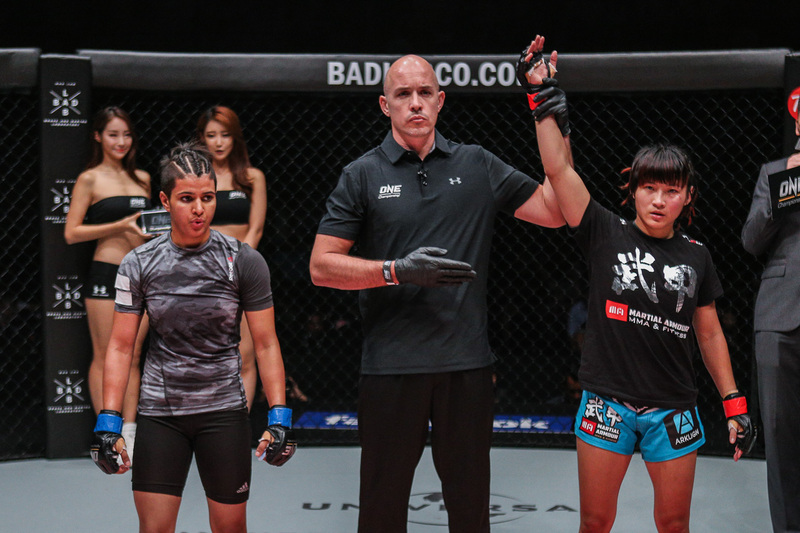 Despite Toshi’s usual willingness to engage, Huang put her grappling skills on full display, submitting Toshi by Arm Triangle Choke just past the midway point of the first round. 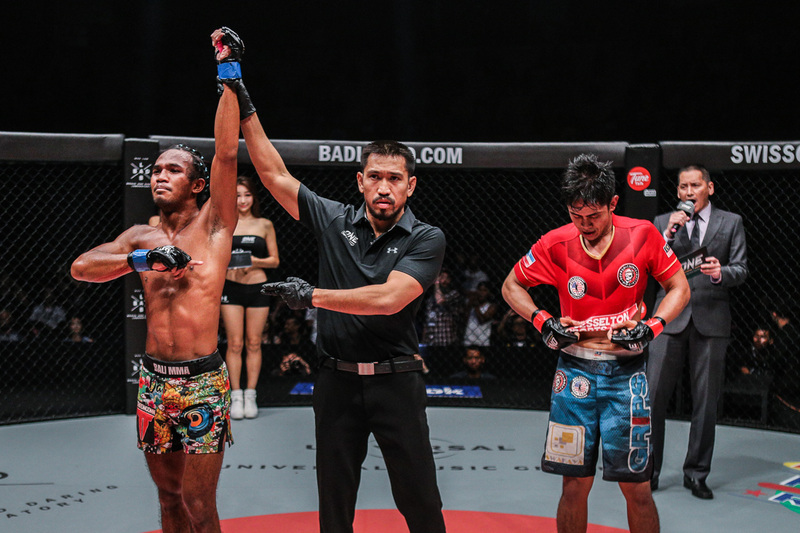 In a clash of Malaysian MMA prospects, former MIMMA featherweight champion Muhammad Aiman scored his first victory inside the ONE Championship cage by routing former professional boxer Hisyam Samsudin to win by unanimous decision. 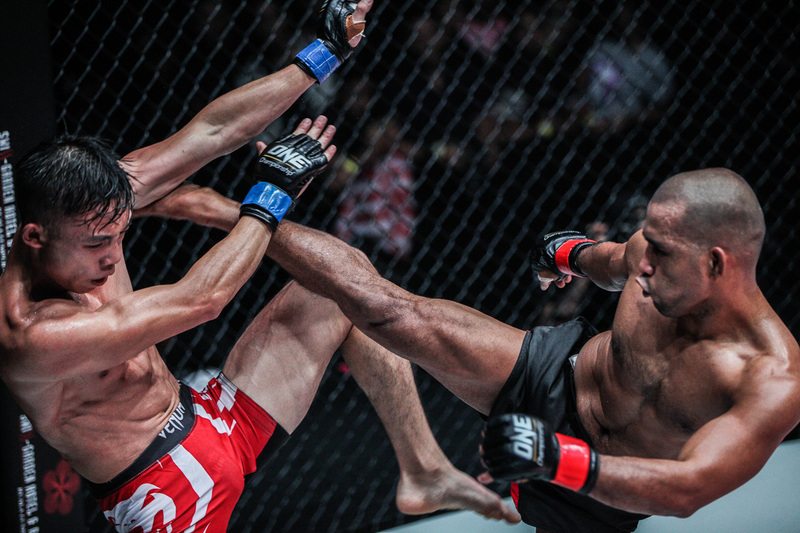 After three rounds, Aiman used his superior striking and grappling to convince the judges to score in his favor. 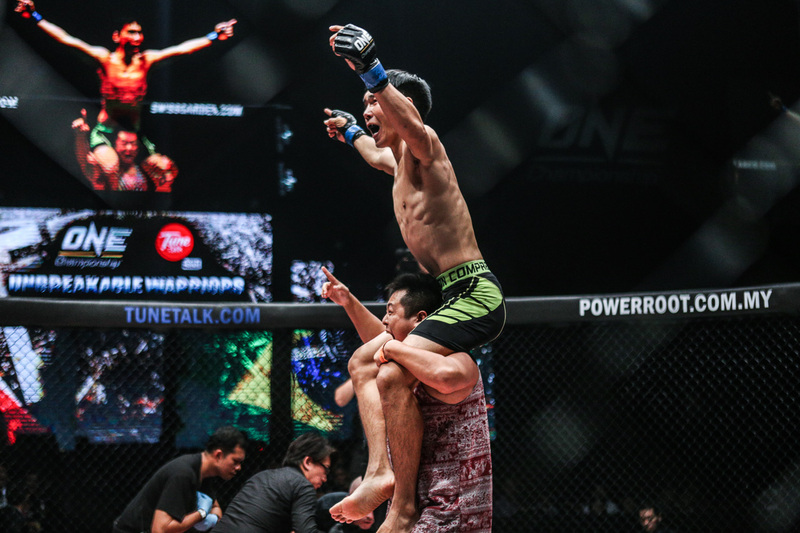 Rene Catalan of Manila, Philippines dominated Chinese fighter Zhang You Liang to win by unanimous decision in a three-round strawweight contest to kick off ONE: UNBREAKABLE WARRIORS. 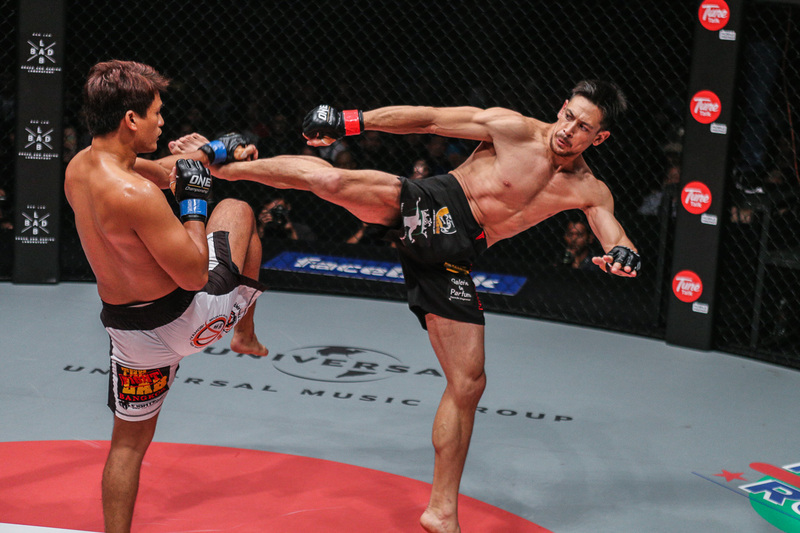 Catalan utilized his world-class wushu skills to keep Zhang honest throughout the bout. 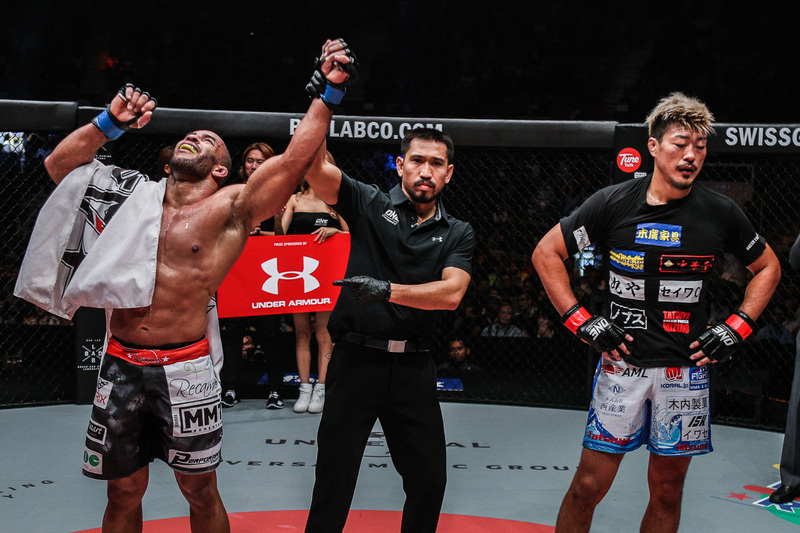 In the end, Catalan’s work rate and accurate striking earned the judges’ nod. 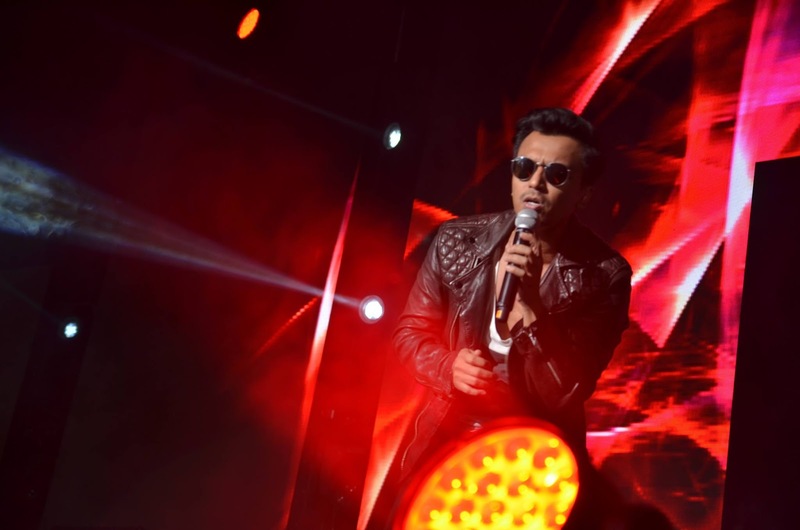 The night end with amazing performance by our Malaysian Singer Faizal Tahir and Ella. 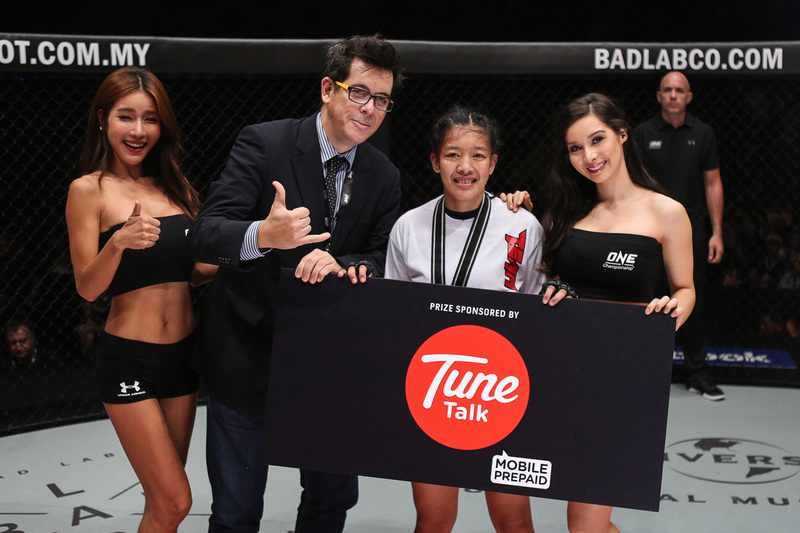 Thanks to Universal Music for bringing more fun and excitement to cheer up the crowd in One Championship. 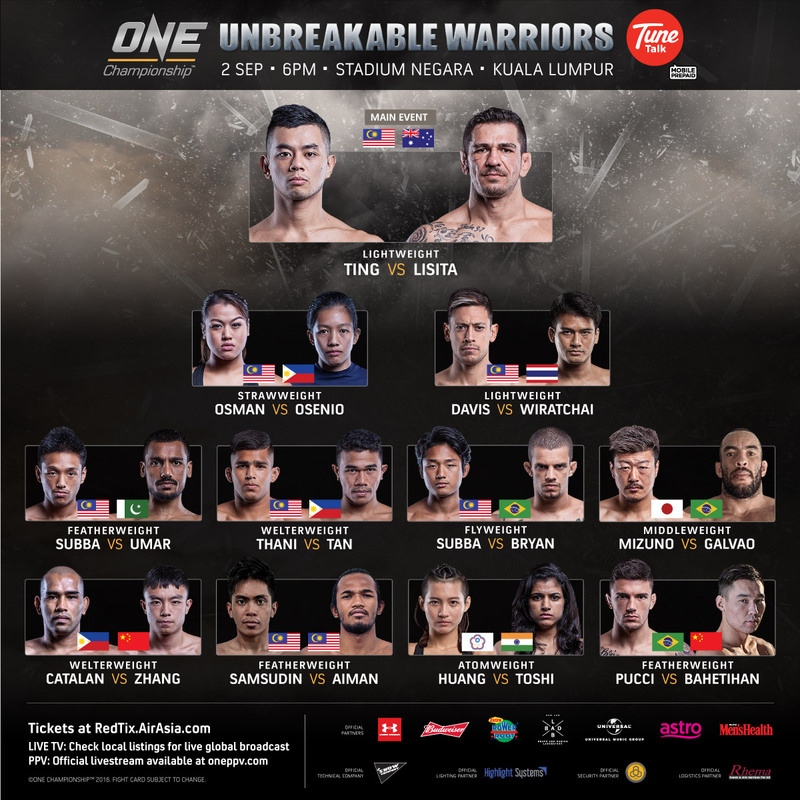 Log on www.onefc.com/livestream for the full replay of the fights at only US $9.99. 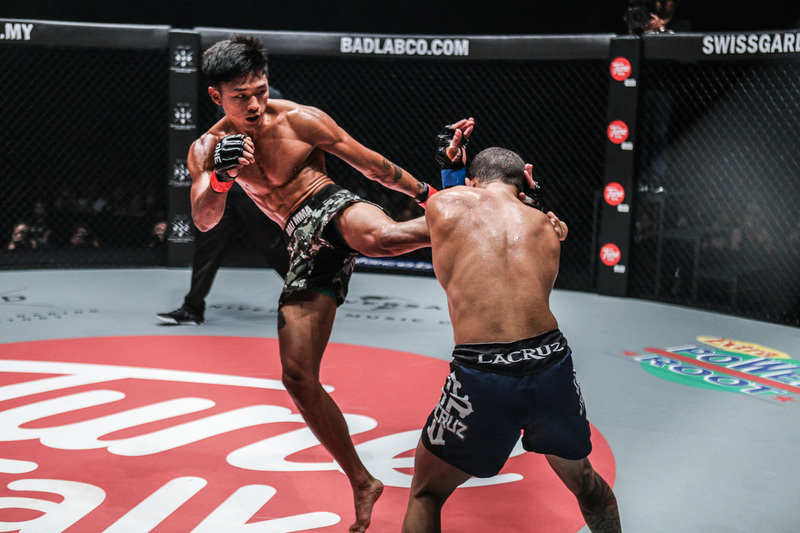 For more updates on ONE Championship, please visit www.onefc.com, follow us on Twitter and Instagram @ONEChampionship, and like us on Facebook athttps://www.facebook.com/ONEChampionship.